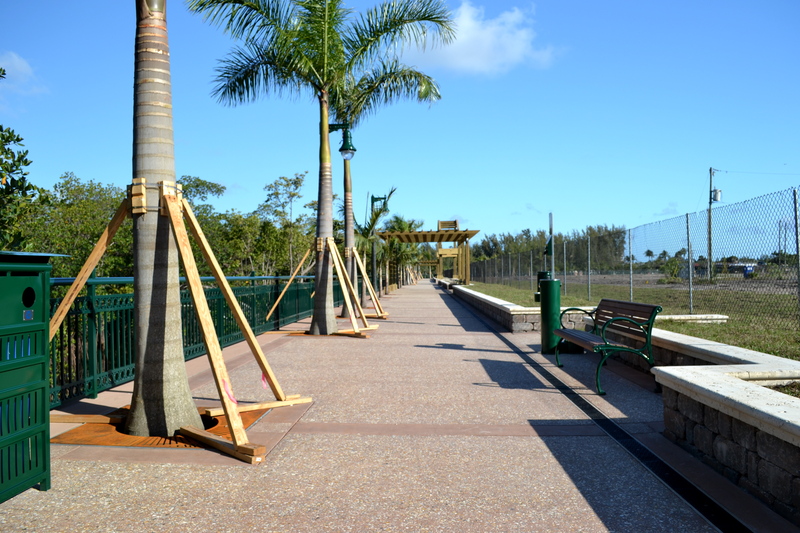 The Riverwalk at Harbourside place has been judged as a winner of the 2012 Craftsmanship Awards Committee, on behalf of the Construction Association of South Florida (CASF). This is exciting news for all of those who worked to help build this first part of the Harbourside Place project and shows the quality, dedication, and expertise that have gone into the project thus far. The project won in the category of Sea Shell Tabby Concrete, the most prominent feature of the Riverwalk at Harbourside Place, which used a high quality stained concrete and sea shells to give a beach like feel to the pathway. A special thanks goes out to Moss Construction, Allied Capital and Development of South Florida, and the Town of Jupiter for their work in helping to design, build, and fund this project that will allow the people of Jupiter further access to Florida’s most abundant natural resource, the ocean and Intracoastal waterways. The Harbourside Place Project is currently being funded by EB-5 investments, which allows foreigners to invest in United States, USCIS Approved, projects that stimulate the U.S. economy. EB-5 participants will make an investment of $500,000 to $1,000,000 USD into a U.S. project that will create at least 10 jobs for U.S. citizens from the said investment. In return, the investor will receive a return on their investment, as well as a conditional United States Green Card. This can be obtained for yourself, your spouse, and any unmarried children up to 21 years of age. More information on the EB-5 visa can be found on www.flregionalcenter.com. The development is currently under construction and is set on the East Coast of Florida by the Atlantic Ocean. The facility will feature an entertainment plaza and outdoor amphitheatre, retail space, restaurants and eateries, office sites, hotel accommodations and marina slips. Harbourside Place is projected to create more than 2,400 jobs over the next three years and will provide exceptional economic stimulus for the region. For EB-5 Investment opportunities in Harbourside Place and other Florida Regional Center Projects, please visit http://www.visaeb-5.com/. Subscribe to our blog for weekly construction updates and photos or follow us on Twitter @eb5palmbeach for the most up to date information.